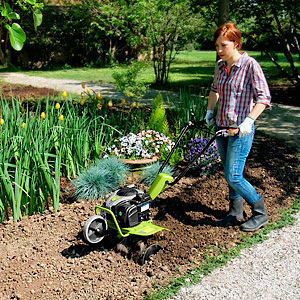 The G Z1 tiller is reliable, simple and safe! 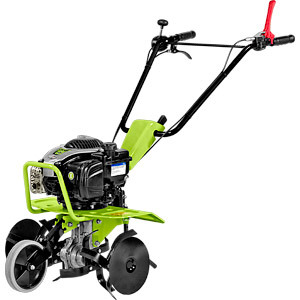 It ensures excellent results on hard soil as well. 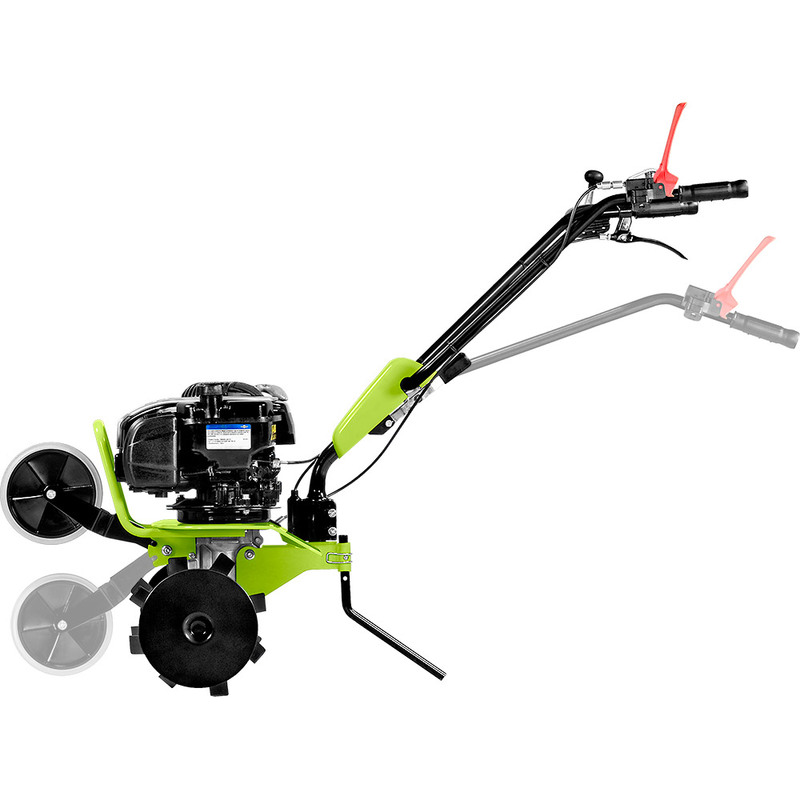 This model is compact, and is ideal for tilling the ground near to corners or in confined spaces. The tines turn even when the tiller is not moving forward enabling you to put the machine into reverse with very little effort. The Grillo GZ1 is equipped with an active coupling device: if you depress the lever on the handle, you will engage the tines. When the lever is released the tines stop immediately whilst the engine will keep on running. The side discs should not be used when you till on hard soil that has not been previously tilled. 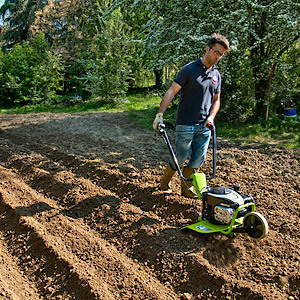 The side discs are very useful on soft soil, they help to keep the machine in a straight line and also protect the plants around the area being tilled. 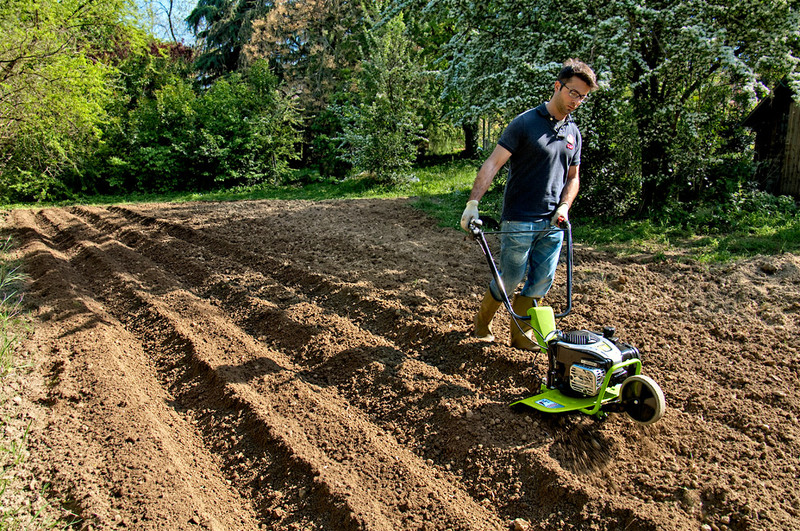 The tiller is fitted as standard with two different spurs: one is suitable for soft soil while the other is suitable for hard soiI. The spurs adjustment determines the machines working depth. A low adjusted spur will make the tines dig deeper into the soil. A high adjusted spur will move the centre of gravity forwards and the machine will move forwards more rapidly. 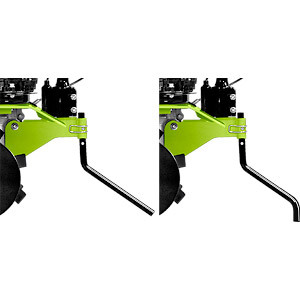 The use of side discs together with a high adjusted spur will increase the uplift and advancement. The GZ1 is fast, well-balanced and precise! The gearbox which is in an oil bath ensures maximum strength and longevity. 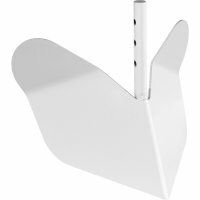 It was completely designed and manufactured by Grillo in their own facility. The 3 HP engine ensures the optimum torque for tilling at 2400 rpm ! 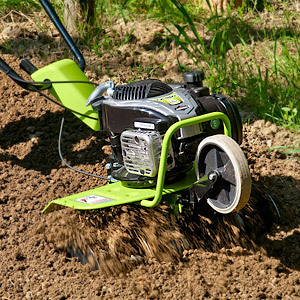 You can till slowly starting at 80 – 90 rpm or rapidly up to 155 rpm, depending on the soil's condition and the required tilth. 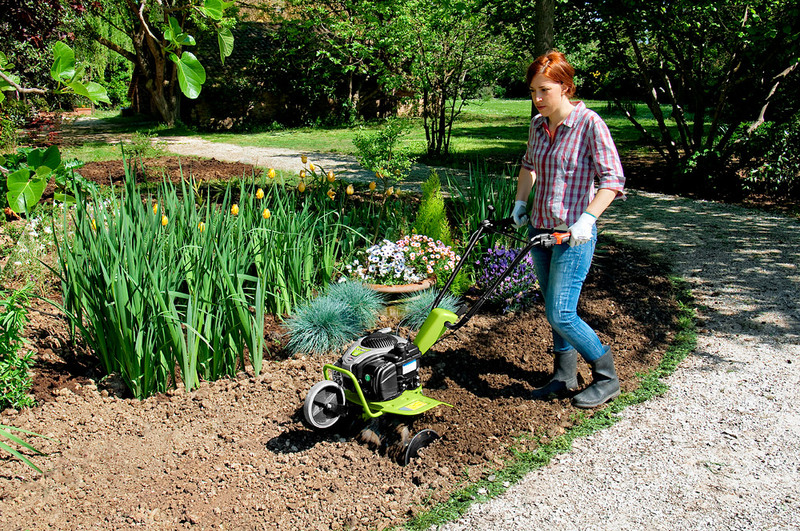 The engine power is no obstacle for the GZ1, even if you till in depth with the tiller at its maximum width and completely embedded into the soil. The handlebar is side adjustable without the need to loosen screws or turn knobs. 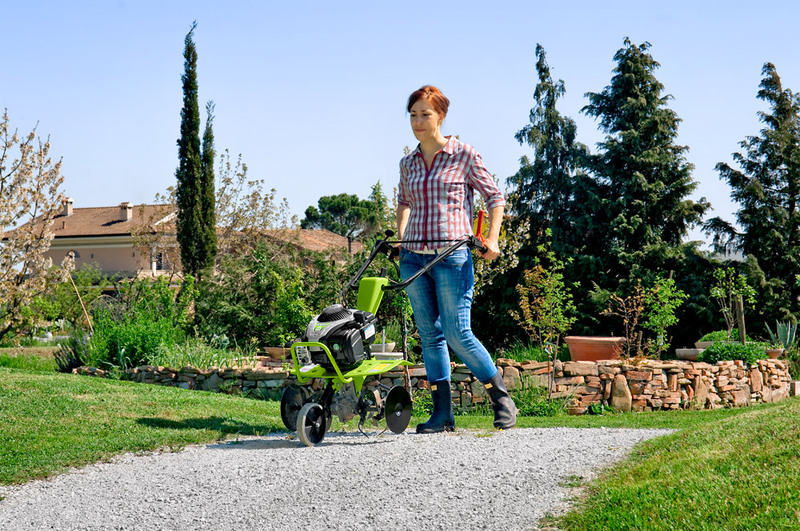 This is facility is necessary to avoid walking on the tilled ground or whilst working close to hedges, fences, or under branches. 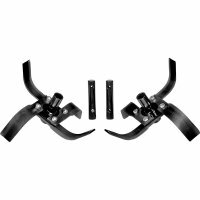 The height-adjustable handlebar will meet even the most demanding users requirements and will ensure they find the correct operating position. The handlebar can be adjusted into a lower position to enable easy transportation on the machine front wheel. 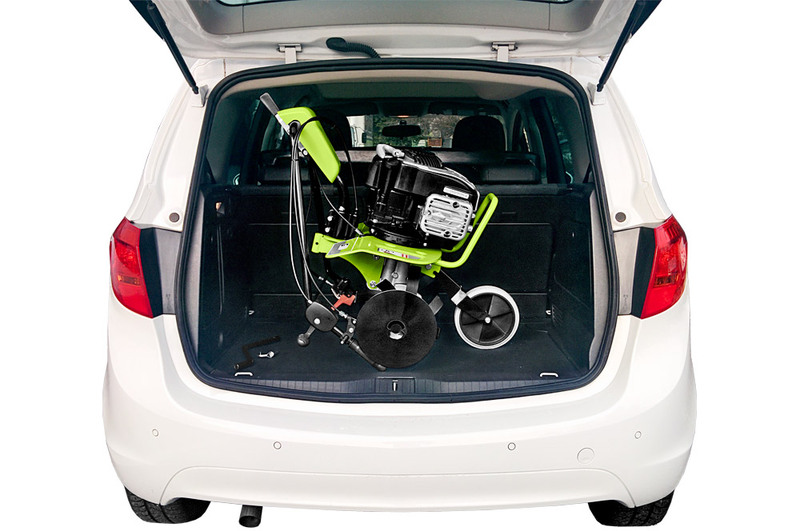 The optional furrower is easy to use and guarantees great results! Cleaning and maintenance is very simple! You only need to check periodically the engine oil level and clean the filter. The gearbox doesn't need any maintenance. 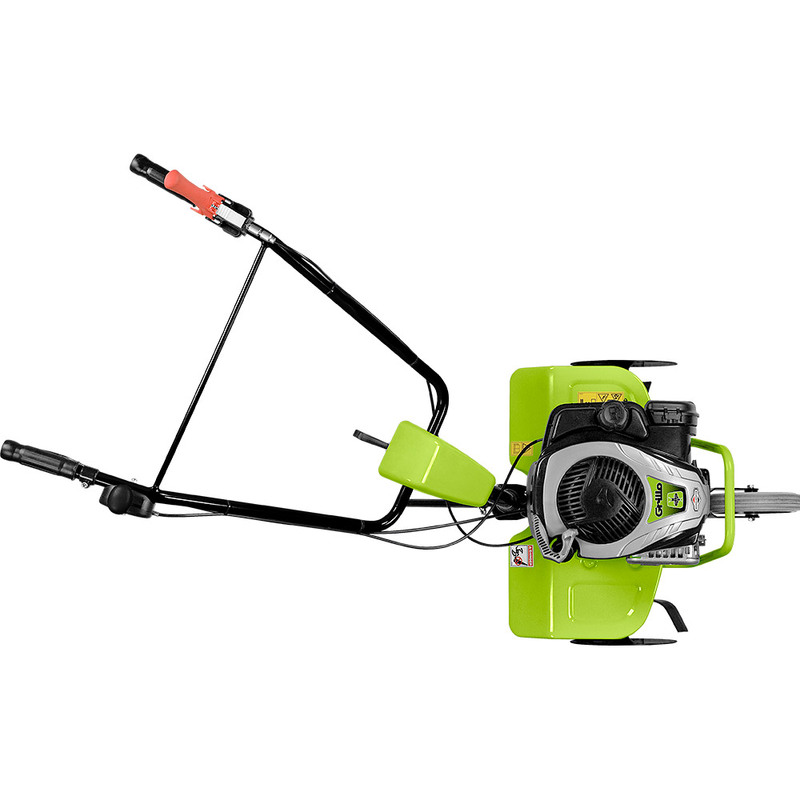 As with all Grillo products, the GZ1 was designed and built to last plus retain its value over many years. All components, from the simplest to the most complex, are of a high quality standard. 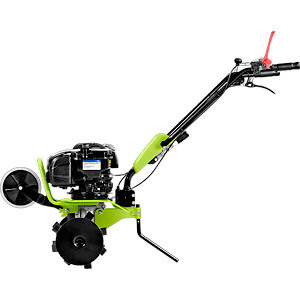 The GZ1 is equipped with an engine having a Ready-Start device! 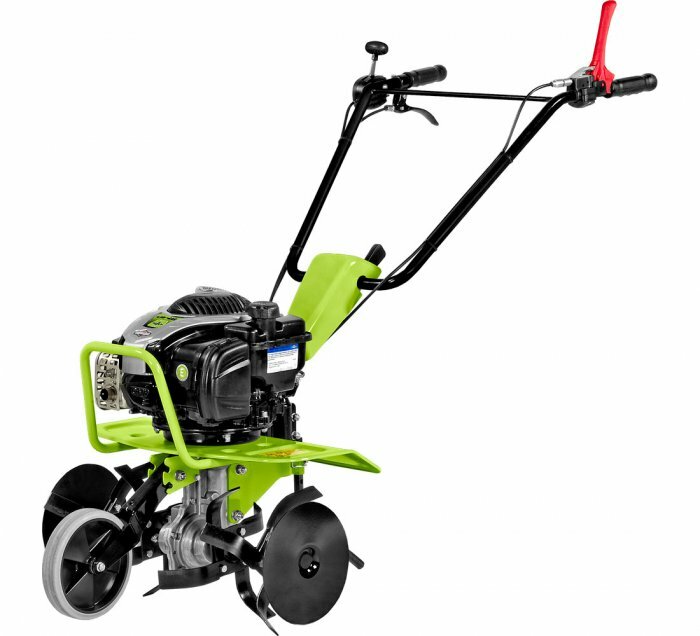 All engines are OHV in order to ensure great reliability, low emissions, reduced consumption, high performance and vibration which are reduced to the minimum, The frame, handlebar and the tiller, are built by Grillo in Italy using only premium materials and cutting edge technology. All this enables us achieve a consistant and 100% controlled high quality level. The tempered steel tines can be detached and easily replaced! Painting of all Grillo machines incorporates a double electrostatic powder coating process. At the first stage are the washing baths and preparation, then a first protective coat is applied which is then baked in a special oven, this has proven to be the best base for the application of the finish. The second coat consists of powder coating and still further baking in an oven at 190°C, this then produces the characteristic hardness and shine. 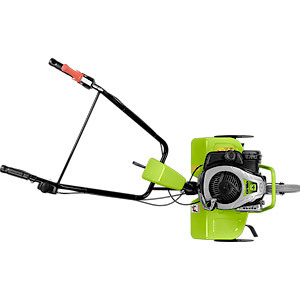 All machines are assembled with care in every detail and tested scrupulously by trained personnel. Final inspection will include running the engine in order to check all its functions and ensure the further and final guarantee of a first class product.